Celebrities are the centre of attention of style. So when it comes to their kids, they want to keep the glamour and chicness. 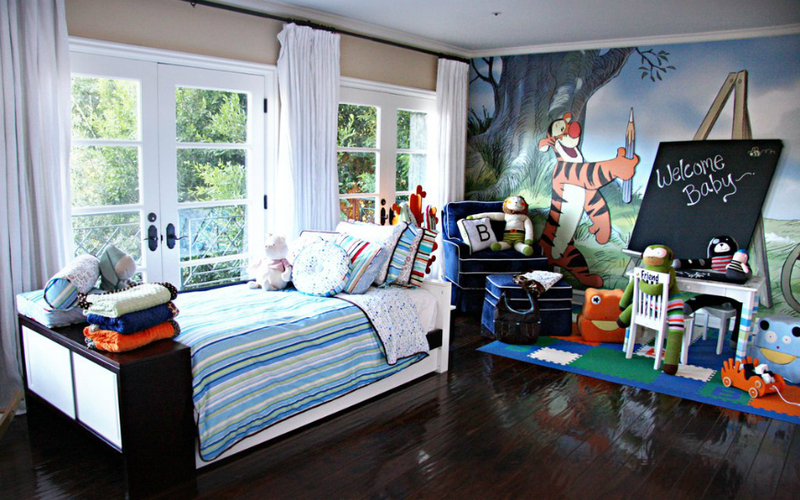 So check Kids Bedroom Ideas selection of 5 celebrity kids’ rooms to inspire you today. 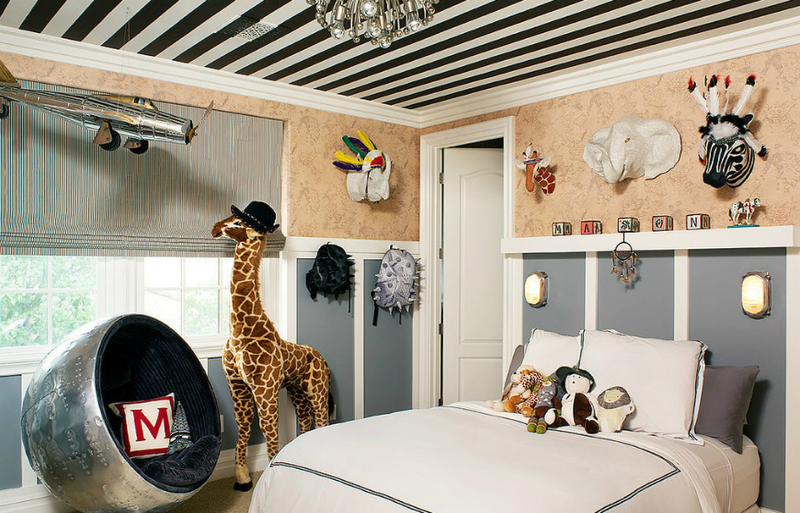 Knowing Kourtney Kardashian’s fashion sense, her son’s room couldn’t be any less than mesmerizing. An amazing black and white stripes ceiling to match the golden and grey classic style walls. 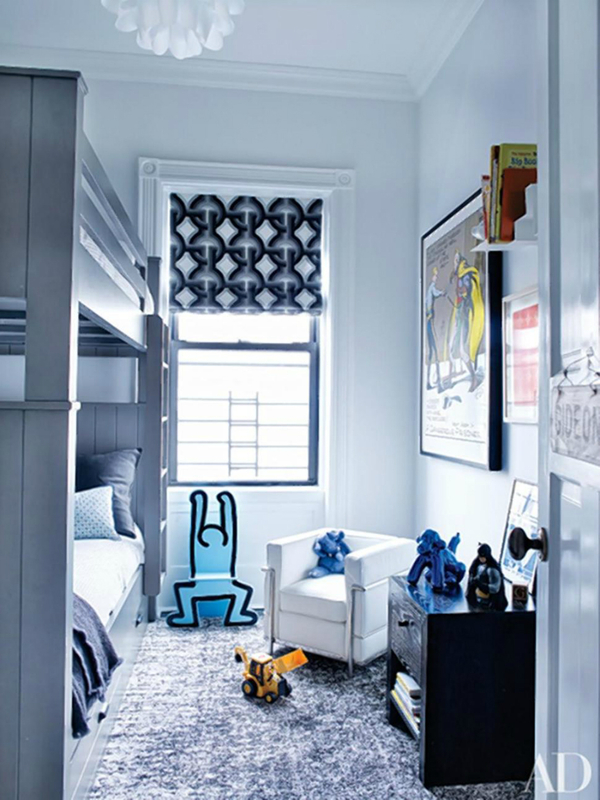 Sophisticated stuffed animals and model airplanes are only a few of the awesome bedroom features. A Winnie the Poo wall warmly welcomes the Simpson-Wentz baby, as sunlight invades through these balcony window/doors. 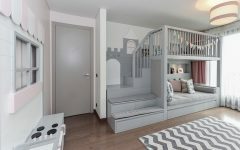 They took a step ahead and also added a bed for when the baby grows. A calm and relaxing vibe with shades of blue and gray. Curtains with a 70’s pattern mixed with modern furniture will provide a well-rounded and balanced feel to the room. 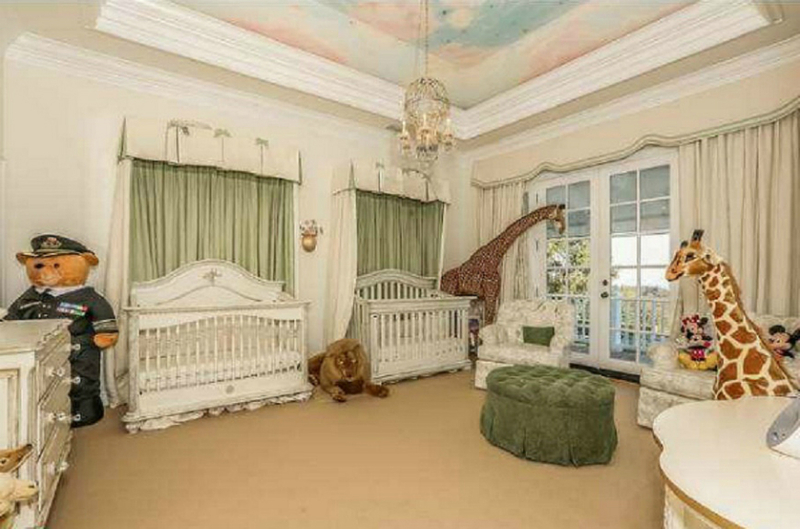 The daughter to ex-Spice Girl has a nursery fit for a royal princess, complete with hand-painted wall art and silk ribbons to match the gold furniture. Absolutely elegant and classy! The mix of forest green and a classy style for the couple of twins of the singer and actor. 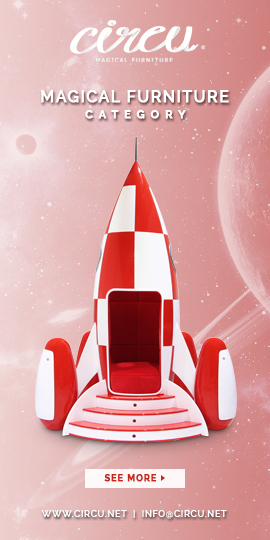 A pale blue sky with fluffy white clouds ceiling makes this the most perfect baby crib ever.